L’Oreal never quite managed to get to grips with what it bought from Dame Anita Roddick in 2006, but was it all worth it? WHEN L’Oreal snapped up British ethical retailer The Body Shop for a tidy £625m 11 years ago, both companies were at the top of their game. L’Oreal was fast-becoming one of the world’s biggest brands, and The Body Shop – some way down the line in its mission to cover the world with its well-loved stores – was a retail phenomenon. On the face of it, the deal looked like a match made in heaven. L’Oreal were happy, The Body Shop board were delighted, and the departing Anita Roddick must have been over the moon at walking away with £130m from the sale. But while the match may indeed have been made in heaven, the business gods clearly chose not to smile upon the union. Less than a year later, the world was hit by a global financial meltdown. L’Oreal battled to keep a grip on its core businesses, and the ethics-laden customer base that had been so devoted to The Body Shop since 1976, was suddenly less enthusiastic about saving a planet faced with one of the biggest financial disasters it had ever known. Since then, neither L’Oreal or The Body Shop has managed to gain the sort of pre-recession traction both had enjoyed. It came as no surprise earlier this year to learn that L’Oreal was keen to offload what had become a burden around its neck, albeit a pleasantly scented one. What was a surprise, perhaps, was the speed in which The Body Shop was snapped up. Brazilian cosmetics giant Natura – owner of the Aesop brand – was swift to step in with a €1bn bid which L’Oreal seemingly gave little time to digest before accepting with plenty of enthusiasm. Natura looks a good fit for The Body Shop – both share some deeply eco-friendly values, and there’s a good match in terms of how Natura’s products will sit side-by-side in the market with those of its new acquisition. At this stage, no one would dare say ‘a match made in heaven’. After all, look how that was bandied around when L’Oreal took over in 2006. In terms of The Body Shop and L’Oreal having a clean break, well, don’t count on it. The French cosmetics giant has barely applied any make-up over its obvious desire to offload the 40-year-old Sussex-based chain. When it was put up for sale in February 2017, L’Oreal’s statement was awash with barbed clichés such as wanting to give The Body Shop the ‘best opportunities and full ability to continue its development’, perhaps best translated as ‘look, we thought we’d bought a golden goose but we haven’t got a clue what you’re supposed to feed it, perhaps someone with better husbandry skills wants it?’. The fact that Natura is willing to cough up €1bn is enough to make most analysts salivate at L’Oreal’s skill in chucking out what it deems to be a wheezing horse out of its stable, yet yielding a thoroughbred profit. However, as reasonable a deal as €1bn is, a closer look might show that L’Oreal’s board are happy to stray just north of breaking even. It’s hard to imagine this divorce comes without any clauses. With the original outlay of £652.3m in March 2006 weighed up against a £877m (€1bn) sale being completed at some point in 2017, it isn’t hard to spread the difference – £224.7m across 11 reasonably barren years. And while it delivers little more than £20m (a fairly paltry sum in relation to most cosmetic brands) a year, any profit is soon swallowed up in the financial woes that have haunted L’Oreal during that time. The rot set in fairly quickly for The Body Shop’s uneasy relationship with its new master. In 2006, many customers expressed their dissatisfaction with their beloved ethical products being sold out to the world’s largest cosmetics company. This sense of betrayal, quickly followed by a catastrophic financial downturn, was not the start their fledgling relationship needed to blossom. Although fairly steady in the early years, the gathering pace of decline could not be ignored. By the end of 2016, The Body Shop’s operating profit had plummeted 38% to just €34m. Sales were sinking at the rate of 5% a year. 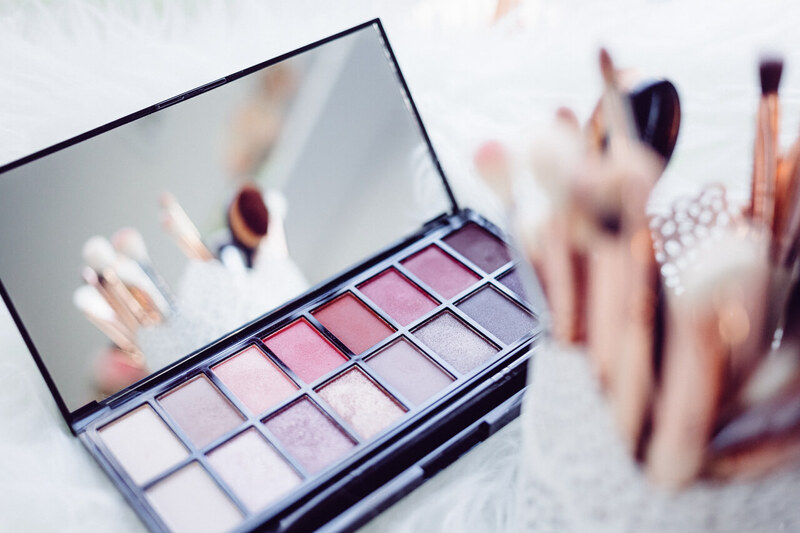 Even the Christmas quarter – usually a happy hunting ground for any cosmetics firm – saw sales slip by 6.3%. It all adds up to L’Oreal deciding enough is enough, and they can no longer manage with the weight of it around their necks – like a financially cumbersome soap on a rope. Natura, on the other hand, seem delighted by the deal. As they should be. The Body Shop is about half the size of Natura, but has a footprint in 66 countries with more than 3,000 outlets – 133 of those are in Brazil where Natura is headquartered. A tie-up would give Natura net sales somewhere in the region of €3.15bn across 3,200 outlets. And that’s just a conservative figure based on The Body Shop’s current poor performance. Obviously, being taken over by an organisation more in line with its own ethics should give The Body Shop the appeal it once had before the ‘betrayal’ of its values to L’Oreal. One person who certainly thinks this is the case is billionaire entrepreneur Guilherme Leal – co-chairman of Natura. “Natura and The Body Shop have always walked in parallel, and today their paths meet,” said the Brazilian. Established in Sao Paulo in 1969, Natura is Brazil’s largest cosmetics firm, and one of the world’s leading ethical businesses. It became the world’s first publicly traded company to be granted a B-Corporation certificate in 2014 to recognise that it benefits society as well as its employers. The Body Shop and Natura seem like the most natural business bedfellows since Michael Marks and Thomas Spencer decided to opened their ‘Penny Bazaar’ in Leeds back in 1884. All that the long-suffering shareholders of The Body Shop can do now is to see if Natura can do what L’Oreal couldn’t. Next articleScottish Salmon – What’s the catch?